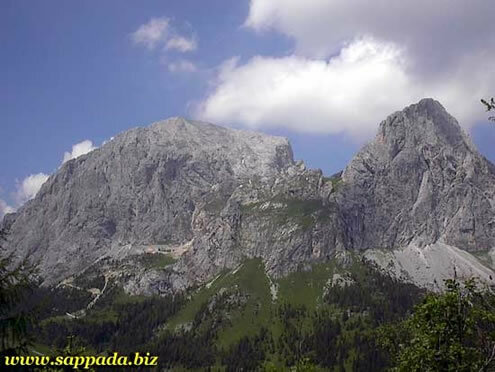 Absolutely the shortest and easiest hike, which in a short time takes you into an enchanting natural amphitheater. From the ethnographic museum, in Borgata Bach., The marked trail is on the right, and after two wooden bridges, invites you to continue in the meanders of this small canyon dug in the Rio del Mulino (the springs are located under the Olbe Lakes) . You will immediately notice that the environment is characterized by green stones and very interesting stratifications; the path that joins the stream reaches the slopes of the major waterfall and will give you the opportunity to cool off on the hottest days. In the period of August, at the entrance of the path, you will find raspberry plants, and if you are careful observers, shortly after the bridges, you will see very few specimens of the yellow campanula (Campanula thyrsoides), as well as alpine rose (Rosa pendulina). Piani del Cristo Refuge Easy hike, suitable for all hikers, even the less trained. Well marked, not dangerous and without orientation problems, even if we do not recommend it after heavy rainfall, because it is muddy. 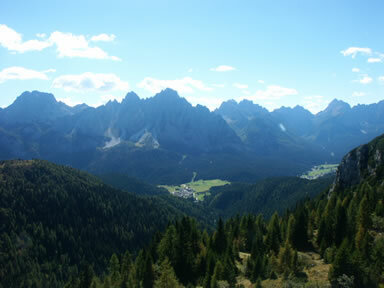 From Cima Sappada, take the paved road that runs from the church through the houses of the village, and runs about 1 km. up to the narrow narrow street on the left side with the sign "SORGENTI DEL PIAVE-VAL SESIS"; Piani del Cristo Refuge the path goes up to the right of the stream and goes back along a fun path that has been recently restored with wooden trunks to let you cross the numerous waterways that feed the Piave. 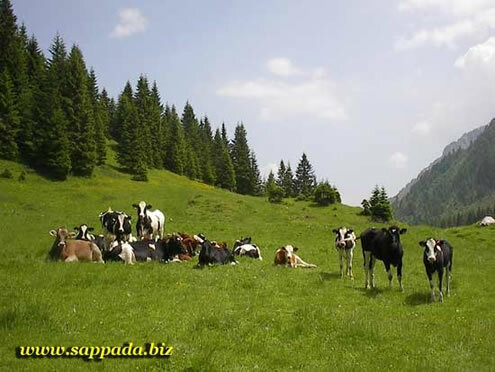 You will be surrounded by a very suggestive natural landscape, characterized by the rocky formation of smooth green limestones, by the clear waters of the stream; the scent of the spruce forest, the silence, interrupted only by the birds and the Piave, will make this easy excursion very pleasant. After a short uphill ramp, along wooden steps that follow the natural slope of the land, you will cross the main road and then, again on the right, take a path that leads to the middle of glacial sediments, where the Piave River flows. beautiful views. Then you reach the Rifugio PIANI DEL CRISTO. Piani del Cristo During the course you will be able to identify, depending on the period, different floristic species, among which the vulneraria (Anthyllis vulneraria), the tarassacco (Taraxacum officinale), the ranunculus (Ranunculus acris), the cockscomb (Rhinatus alectorolophs ), the geranium sylvaticum (Geranium sylvaticum) the rosy hand (Gymnadenia conopsea), the dark aquilegia (Aquilegia atrata), the raponzolo and many other plant species. Olbe lakes Excursion of medium difficulty that requires minimal mountain experience, training, suitable equipment and adequate prudence. Departure from the primary and secondary schools of Sappada (1242 meters) in the Muhlbach district; the dirt road (path 135 passable by jeep), after a short stretch faces left on the waterfalls, and immediately gives you the view of the village towards the east (towards Cima Sappada) with the mountains Siera, Creta Forata, Cimon and Tuglia that frame. 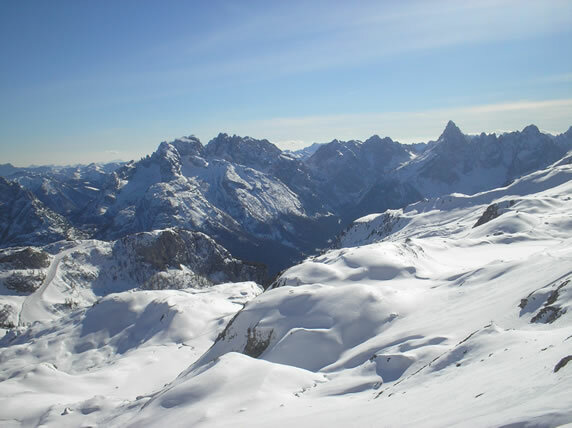 Then follow the ski slope along a compact and wide terrain with a variety of slopes and bends that will take you to the start - arrival of the Sappada 2000 chairlift at an altitude of 1852. On the right, after the chair lift, you will find a small road which, after a couple of hairpin bends and a short diagonal stretch, will take you through the main ski slope and then continue along the path 140. You will then arrive at a junction: on the right the stony path characterized by Ladinic dolomites; on the left, a more tortuous path that we do not recommend after days of rain, shorter than the previous one, even if more challenging. Continue along the path 140 that you meet at an altitude of about 2050, with path 138 coming from Val Sesis (Baita Rododendro mt.1460); you will notice how the lithology of the terrain has suddenly changed, from the terrigenous training to the Ladinic Dolomites. 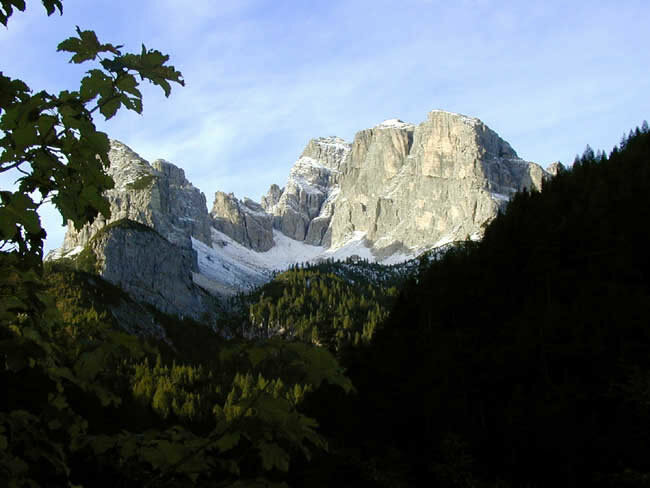 The surrounding natural environment is magnificent: along the meadows pastures, surrounded by the crest of Monte Ferro and Monte Lastroni, the whistles of the numerous marmots will keep you company. After passing the casera d'Olbe (2089 meters), in a short time you arrive at the little chapel that overlooks the largest of the Olbe lakes, in an enchanting alpine scenery. The waters of the lakes are inhabited by small fish (sanguinerole) and black salamanders. The alpine choughs, the family of corvids, not at all intimidated by the presence of man are numerous. 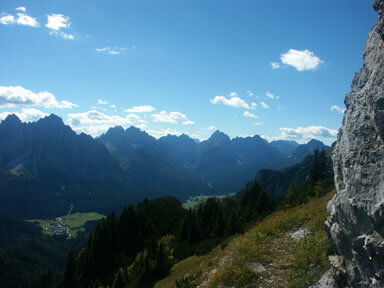 We recommend to more trained hikers to continue for the PASSO DEL MULO mt. 2356 (45 'of way), or for the top of Mount Lastroni Mt. 2450 (1 hour walk). For the less trained, we suggest using the DUEMILA chairlift to the homonymous shelter, and taking the path 140 two hundred meters below. From the Lago d'Olbe, return by using the path 135.